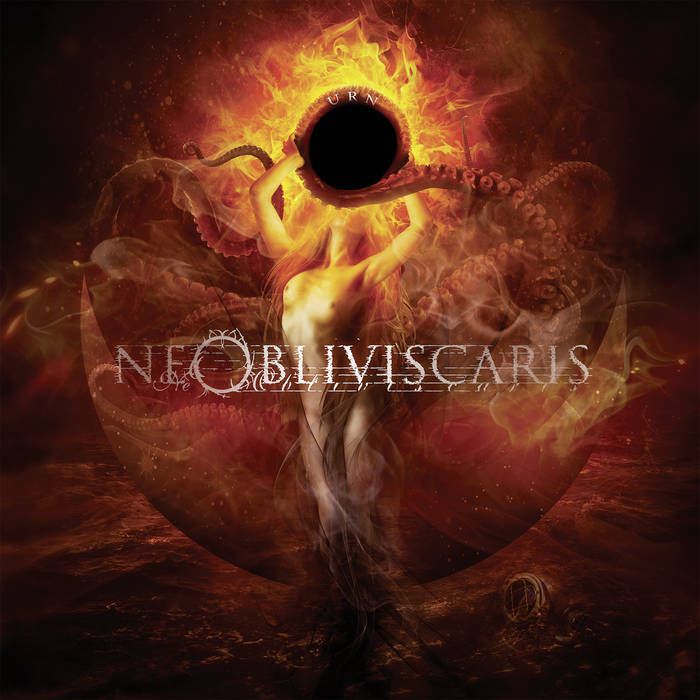 Ne Obliviscaris are an Australian progressive extreme metal band and this is their third album. Urn is epic, progressive, aggressive, and textured. It’s a release that has a lot to absorb and experience, requiring multiple sittings to really even start to get the most from it. This is a complex and emotive listen, one that’s highly rewarding and enjoyable. Packed to the rafters with good ideas and musical flourishes, this is a band that are clearly and confidently flexing their creative muscles. Violin, cello, and acoustic guitars enhance the band’s core framework of extreme metal, providing layered and expressive additions to the rest of the music, although I should point out that everything is fully embedded into a cohesive and comprehensive whole; nothing on Urn sounds tagged on or superfluous. This is an extreme metal band that have a neoclassical edge, one that they wield with deadly grace. The music is diverse and extremely well-crafted. Each song has something different to say, and the combination of aggressive extremity, layered atmosphere, and rich ornamentation is flawlessly presented. Black and death metal collide with razor-sharp progressive metal and enough modern enhancements to make anyone happy. The music has a modern progressive metal core that’s added to by creative exploration and contemporary atmospherics. Think elements of quite wide-ranging acts such as Between the Buried and Me, Agalloch, Ihsahn, Devin Townsend, Enslaved, The Faceless, and Opeth, for starters. Ne Obliviscaris have a timeless sound that combines different elements from bands like these alongside a personality and character that’s entirely their own. Make no mistake, those aforementioned bands are merely starting points to visit from if you haven’t encountered Ne Obliviscaris before, as Ne Obliviscaris are entirely their own beast. Albums as accomplished and pristinely-presented as this don’t come around very often. Make sure you snap this one up when you can, as Urn requires that you explore its multifaceted richness with vibrant urgency. Essential for any extreme metal fan that values quality and substance in their music. This entry was posted in Metal and tagged Agalloch, Between the Buried and Me, Black metal, Death Metal, Devin Townsend, Enslaved, Extreme metal, Ihsahn, Metal, Modern metal, Ne Obliviscaris, Neoclassical, Opeth, Progressive Extreme Metal, Progressive metal, The Faceless. Bookmark the permalink.